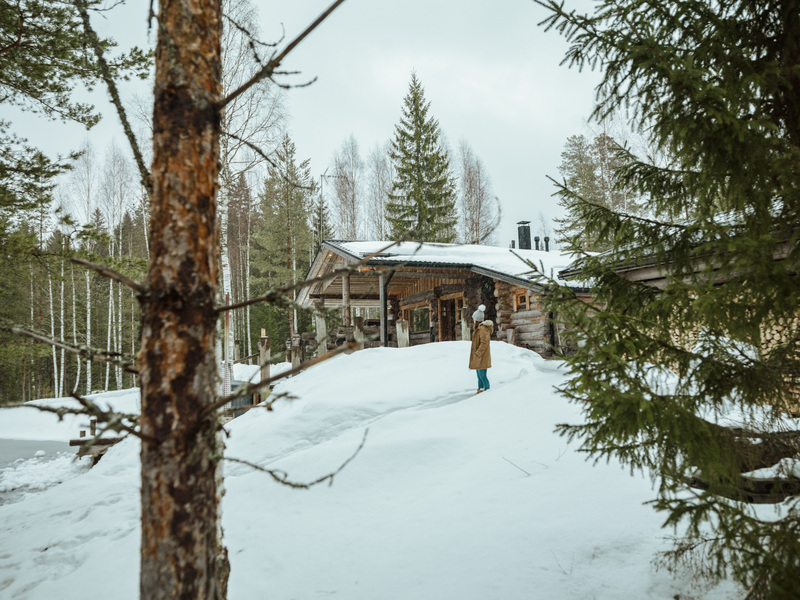 We finally had our cabin life dream come true to the fullest, when discovering this little home away from home log cottage in the heard of Finland’s wilderness. 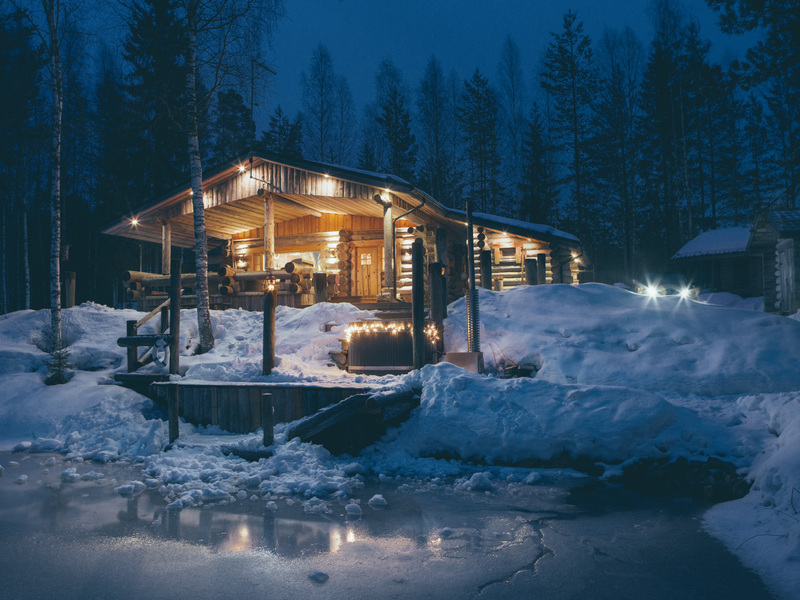 In under 3 hours drive from the capital city of Helsinki, in the region of Mikkeli, you’d find yourself in a true winter wonderland – surrounded by vast forests and hundreds thousands frozen lakes. 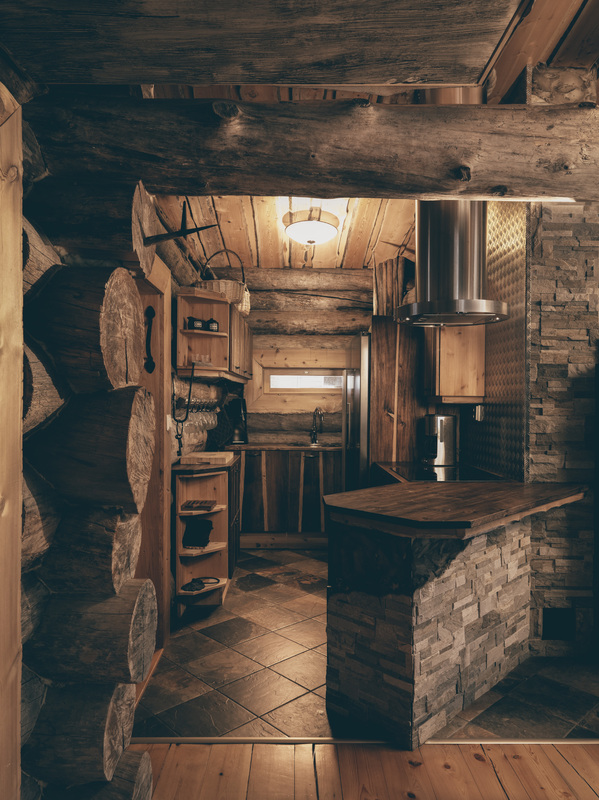 The log cottage blends in seamlessly with the landscape – built entirely by wood logs and other natural materials, creating admirable synergy between nature and humans, and a reminder to us all that it can all coexist in harmony. 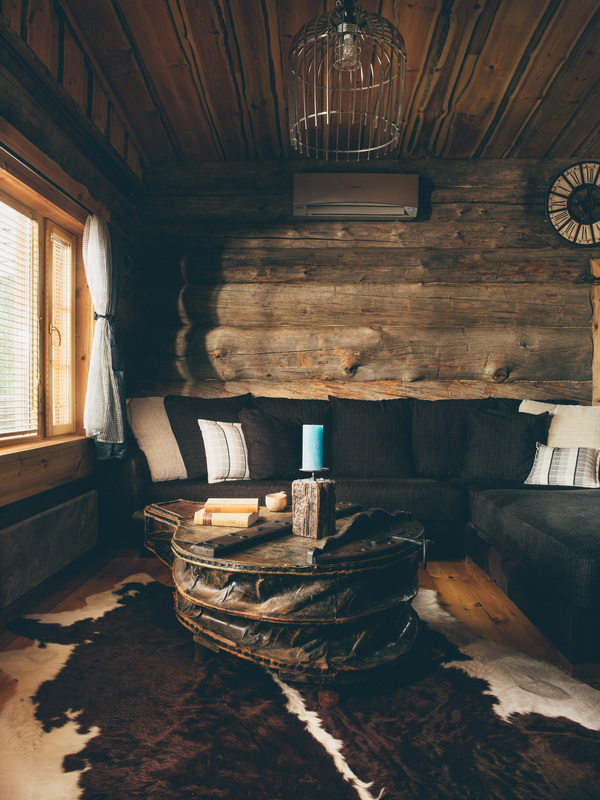 The lodge set up is as close to an actual family home as it get – with living room space, fully equipped kitchen and open floor dining area, all decorated with modern, yet authentic Finnish touches. It’s got 2 separate double bedrooms, and additional open loft space with further sleeping area, overseeing the entire lounge space downstairs. 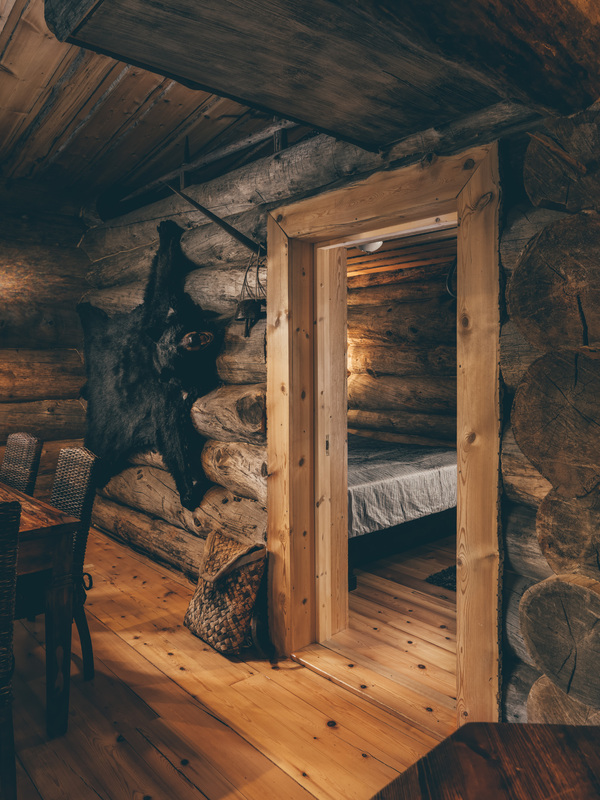 The lodge itself has been built outstandingly, highlighting the Finnish heritage and authentic comfort, but also not sacrificing on new technologies and modern days features. 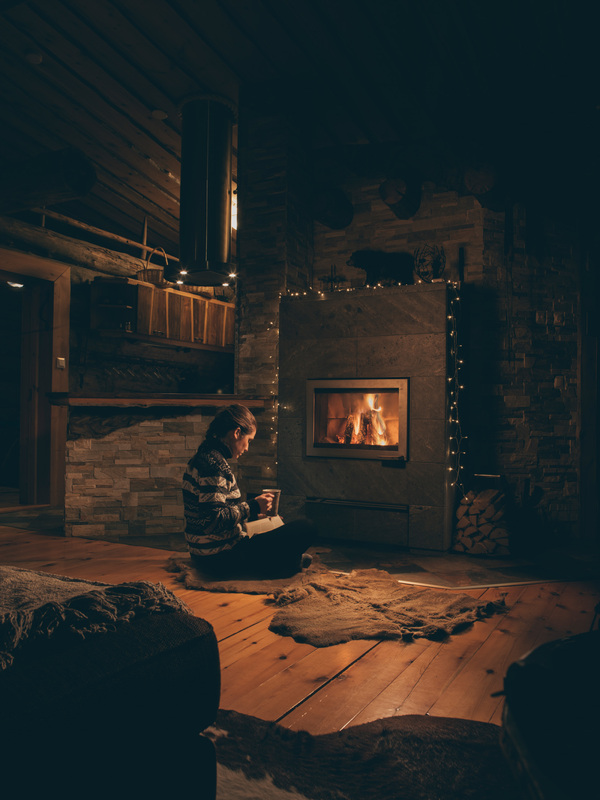 The fire place in the center of the cottage is also playing a special part for it all to come together, and you almost want to have it burning 24 hours not solely for it’s heating capabilities, but mostly to keep on that Scandinavian coziness flowing around the house as long as possible. 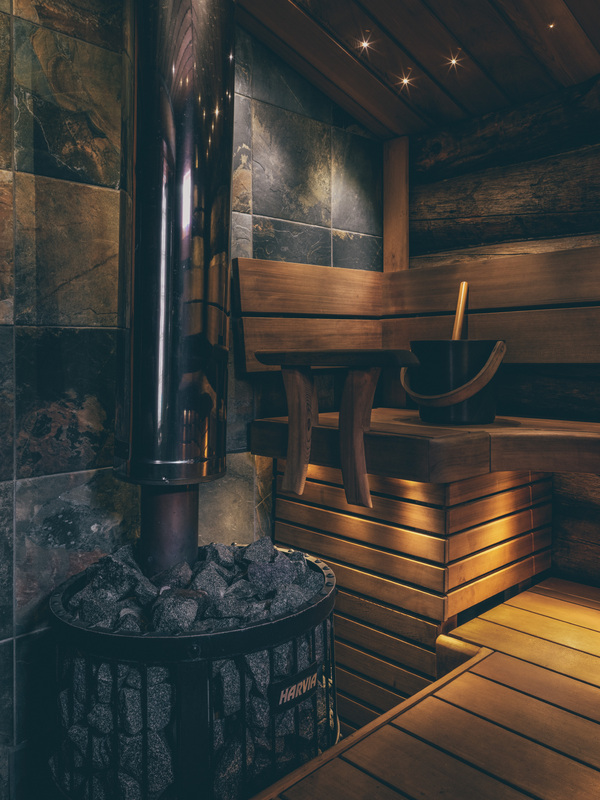 Within the property, in typical Finnish tradition, there’s private sauna attached to the main cottage, where we could rewind after a long day of ice fishing and snow sledding. Moreover, to make things even better, the outdoor hot tub was probably our favorite spa experience to date, where we could take a dip in the steaming water whilst enjoying the pine wood forest surrounding the property and listening to the sound of the little pond in front of the lodge, with natural spring water running through it. 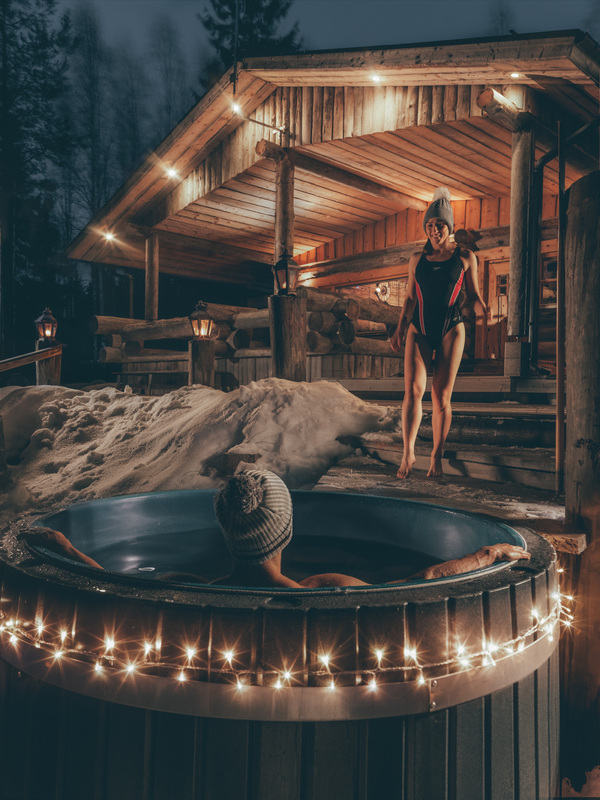 If you’re brave enough, you can even jump in the ice cold water afterwards, to wake up all your senses with a contrast shower, following the locals beliefs for its health benefits and key factor for longer and happier life. The thought behind the small details is what definitely made us appreciate the place even more. The hosts have left slippers, raincoats, welly boots, umbrellas and even few pairs of Crocs at the guests disposal, to assure the stay will be as comfortable as possible. 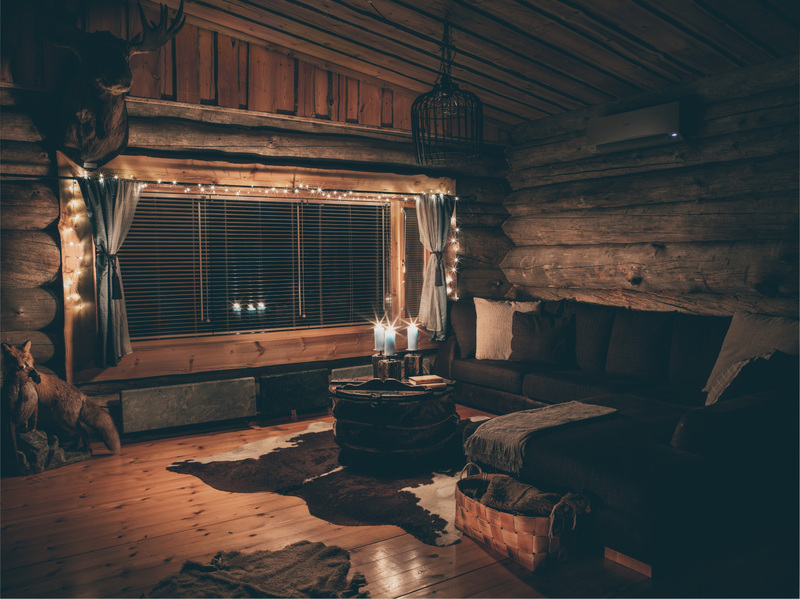 The owner of the property, and his family have been living in the house themselves for over 2 years prior to renting it as a holiday home, so again this is a true manifestation of its qualities and the lodge’s personality – a true home away from home. In case you get enough of spa and relaxation experiences (which will be odd! ), there’s also plenty of opportunities to get active and explore the surrounding wilderness. 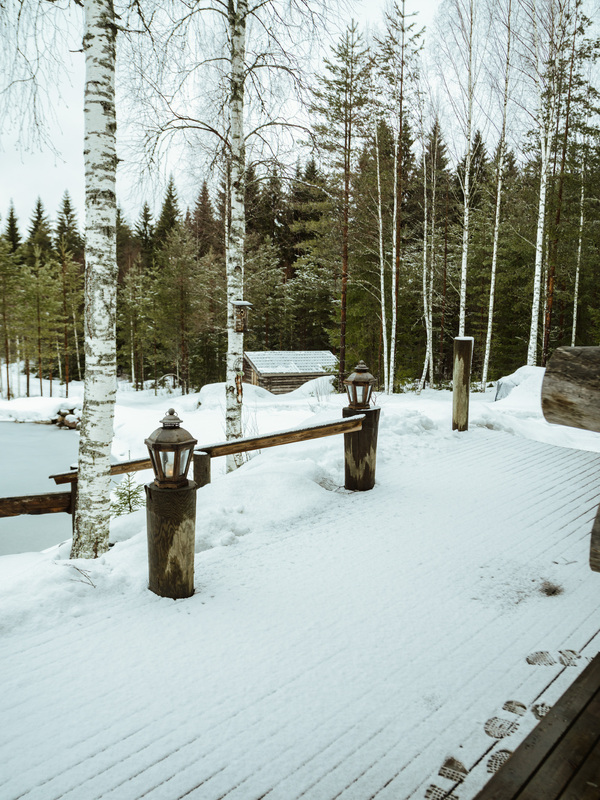 The choice is yours – with nature trekking paths available, walks over the nearby frozen lakes like Puula, where you can practice your ice fishing skills in the winter, or your swimming and boat rowing strength in summer time. Just check with your hosts or the locals about the ice depth and if of any weaker ice areas – the depth is normally over half a meter thick and well safe to walk on, however it’s their daily playground so they’ll know best and can advise if otherwise. 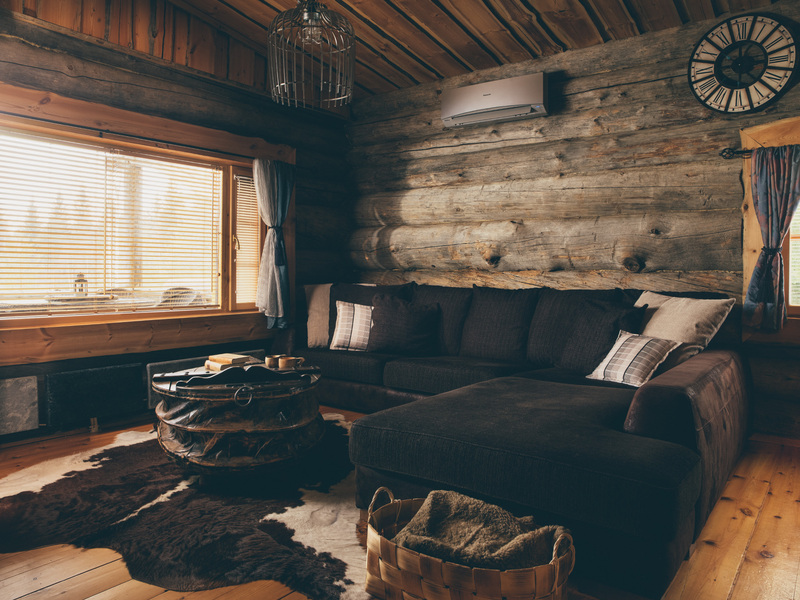 The lodge welcomes guests year round, with its outdoors patio and BBQ area, making for the perfect entertaining space to visit with friends and family and enjoy those unique Nordic white nights. The property is very easy to find, following Sat Nav and the driving instructions provided. 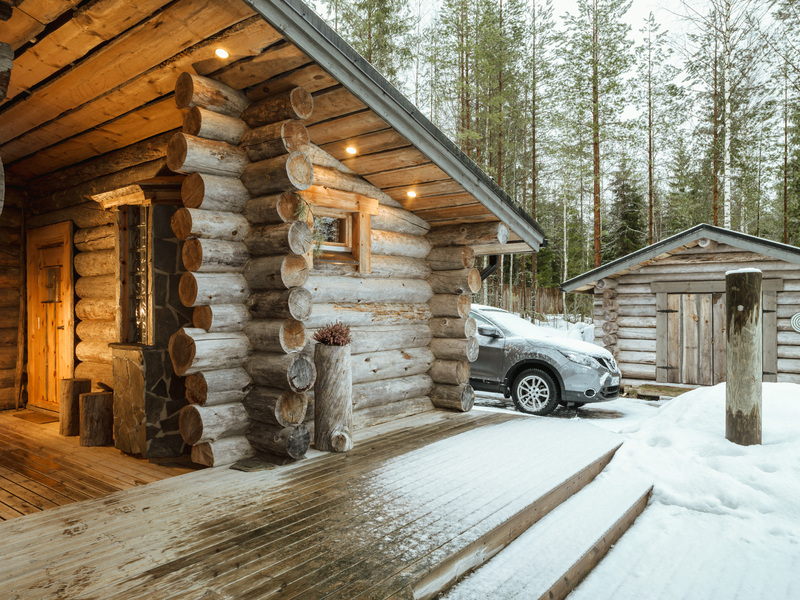 The closest town Kangasniemi is just under 20 min drive, with access to supermarkets, gas stations and other services. To check availability and bookings, please follow the link.